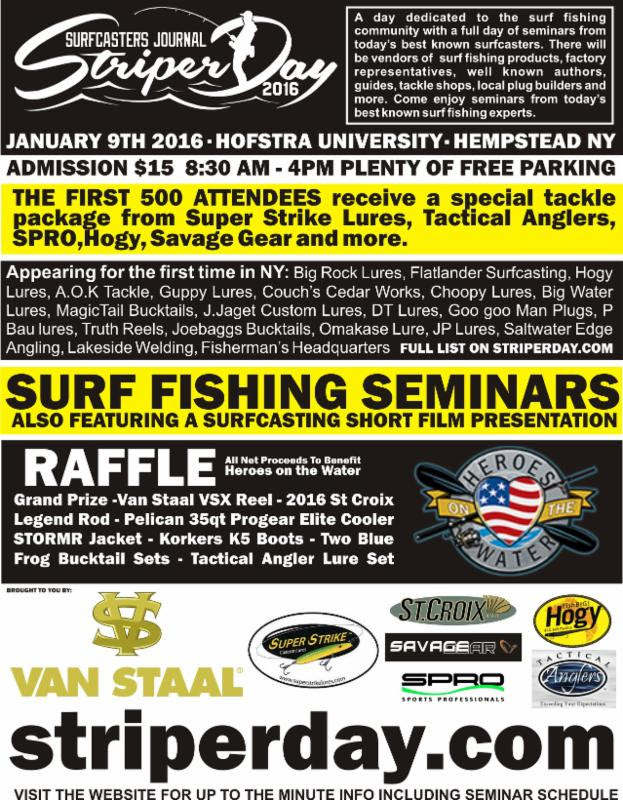 LIBBA - Surfcasters Journal "Striper Day"
Reminding all LIBBA members of the Surfcasters Journal "Striper Day" next Saturday, January 9th 2016 at Hofstra University in Hempstead, from 8:30am - 4pm . For detailed information on who and what you will see at the show, please click on the SJ link for this event: www.striperday.com. LIBBA will have a booth at the show. Be sure to stop by and say hello and while attending please take the opportunity to renew your membership for 2016. We hope to see you there.